A moment of inspiration, a moment of relaxation, a moment of pleasure – a moment of passion. That is how we see wines at the winery Medea. A moment of passion. It is exactly how we like to see wines at the winery Medea. 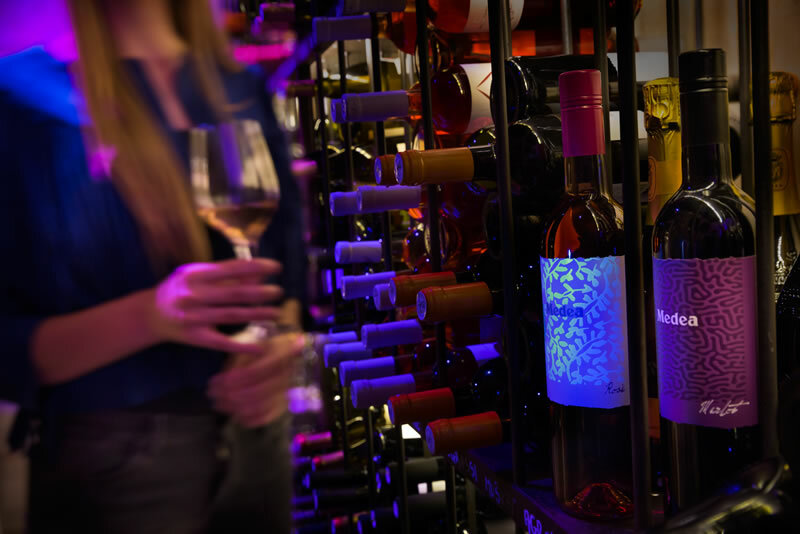 We like to call them a moment of passion towards everything in life associated with wine – gastronomy, society, culture. In one word, people. Wine is the one thing that connects us all, makes us laugh and is part of our daily life. We are a young winery located in the town of Vodnjan near Pula. 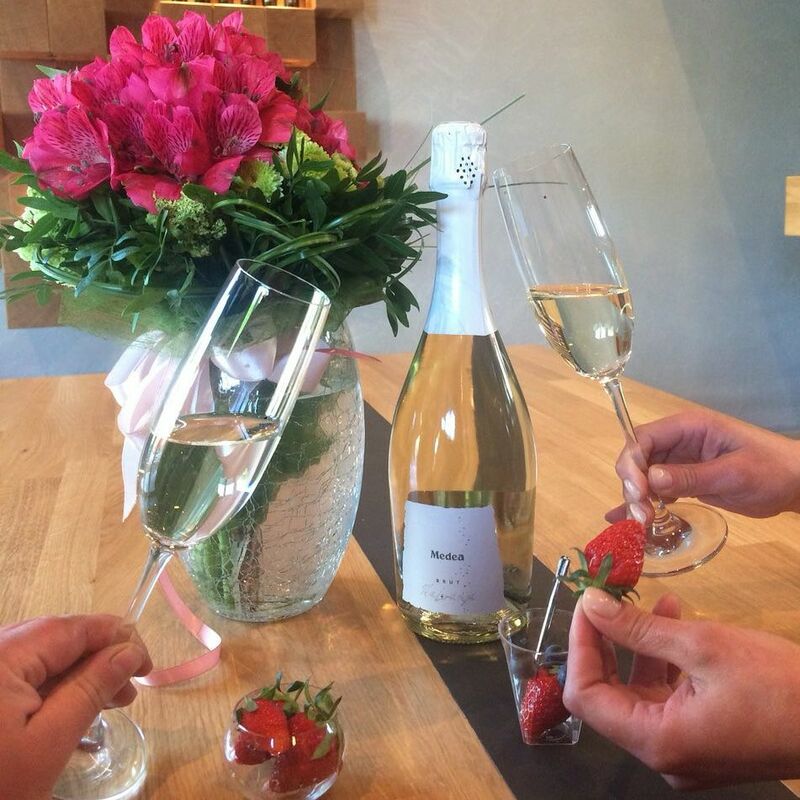 We are a young team bound by the love for two things, wine and Istria. Therefore we stand behind fresh and pleasurable wines, a reflection of the best we have here – a rich soil and grapes that grow out of it. Medea is what evolves, inspired by our people, by the climate, by the bond between the continent and the Adriatic, by a rich gastronomic and cultural tradition. We believe that everybody should have the right to enjoy a good wine. Because it communicates our place, our tiny part of the universe. It is our desire to convey this message, this aroma of tradition, outside our borders as well. 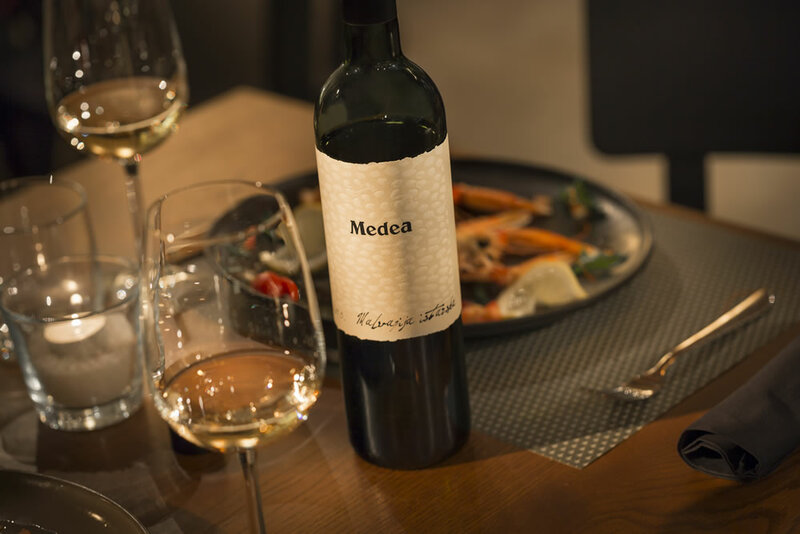 Therefore the name Medea stands for quality, genuine and accessible wine. We invite you to join us in the moment of passion. For us, it is a reflection of a whole Istrian life, pleasure, relaxation and inspiration. "Be yourself; everybody else is already taken." Medea is a moment of passion locked in a bottle, created to make every occasion special. Medea stands as the name of our six wines made from the following grape varieties: Malvazija (Malvasia), Chardonnay, Rose, Merlot, Cabernet Sauvignon, Teran, and one sparkling wine made of grape variety Malvazija istarska. 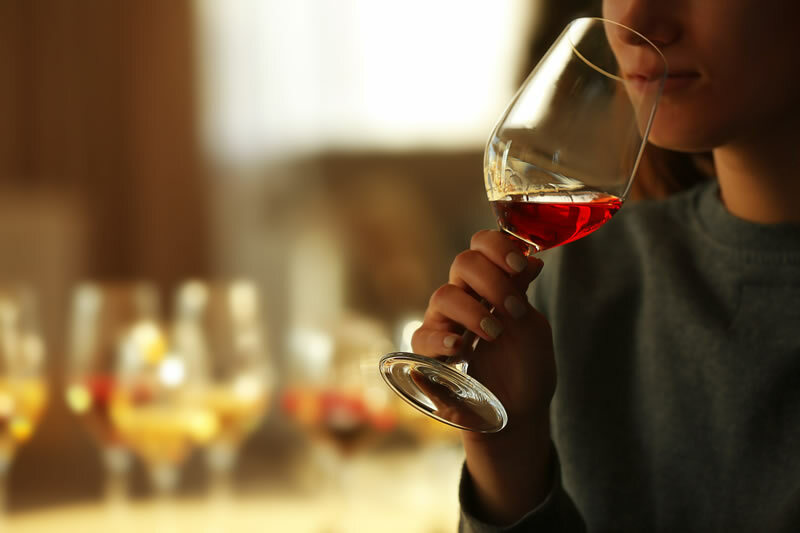 It is about fresh wines intended for intimate moments, for lunch, dinner or relaxed socializing on the one hand, and on the other, equally intended for professionals who will serve them at wine bars and restaurants. We made Medea accessible to everybody. These are quality wines, able to satisfy the demanding wine lovers, as well as those who are just about to enter this world. 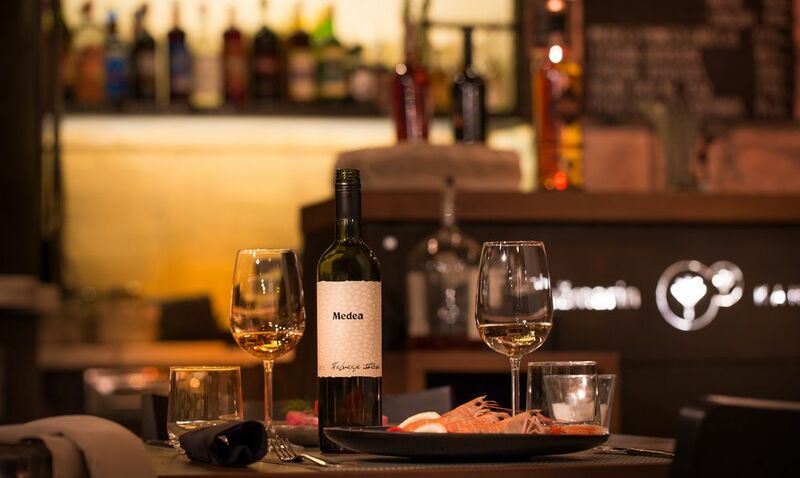 Medea stands for a blend of indigenous Istrian and international varieties, because the Istrian soil has always, like the Istrian man, looked outside the way it looks within itself – genuinely and proudly. "I like on the table, when we're speaking, the light of a bottle of intelligent wine." 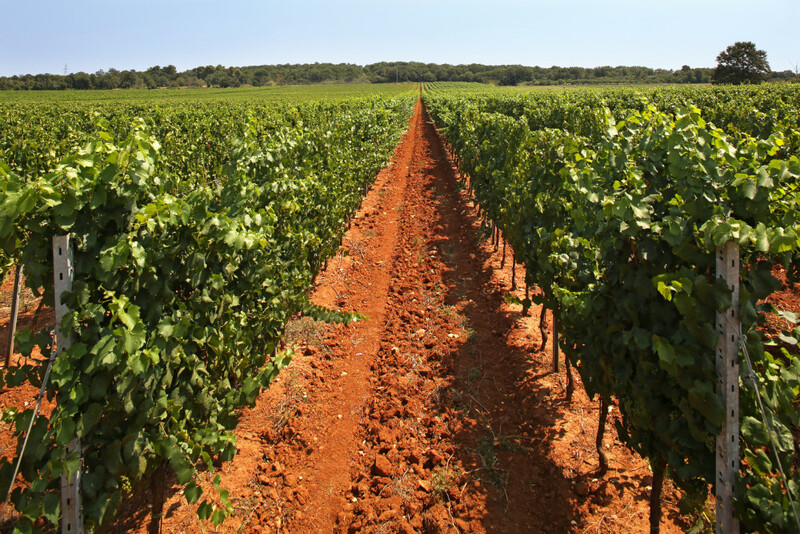 The rich Istrian soil and its wine yards are what the eye first sees and what the Medea wines are made of. 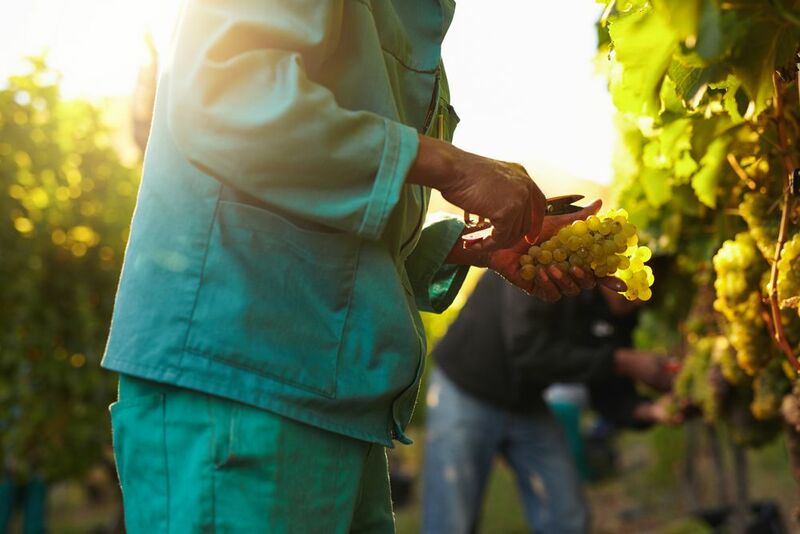 It is enough to take a walk through one of our many wine yards expanding over more than 60 hectares and inhale the smell of wine grapes and the spirit of the local culture, tradition and heritage. 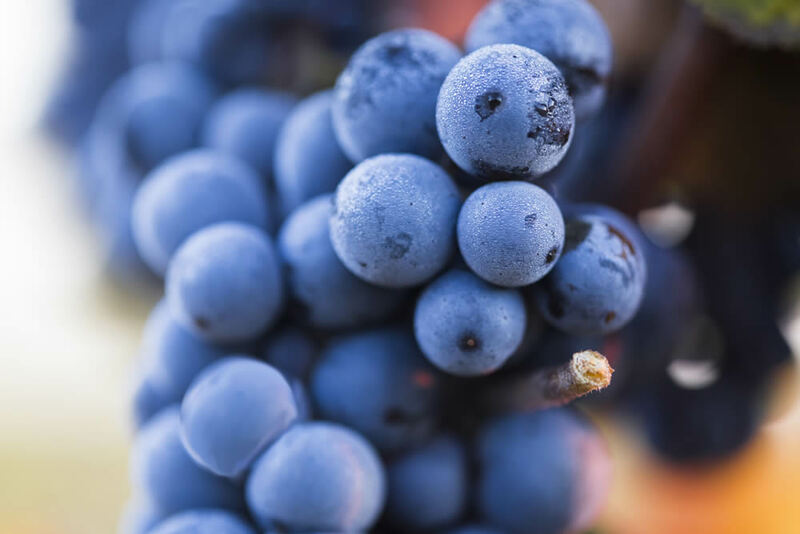 The grapes come to the Vodnjan winery from our nearby wine yards surrounding Medulin and Pula, nourished by top experts, people who know the Istrian soil and grapevine. 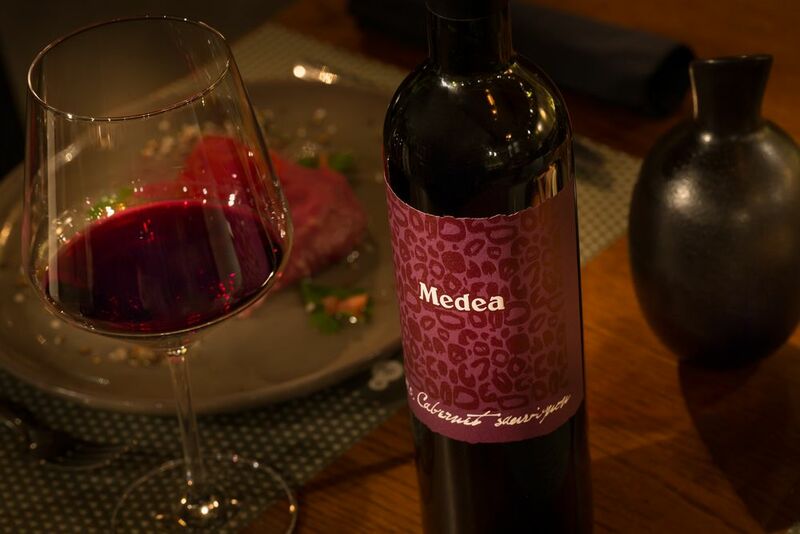 The Medea wines thus represent the relation between the Istrian soil and men. 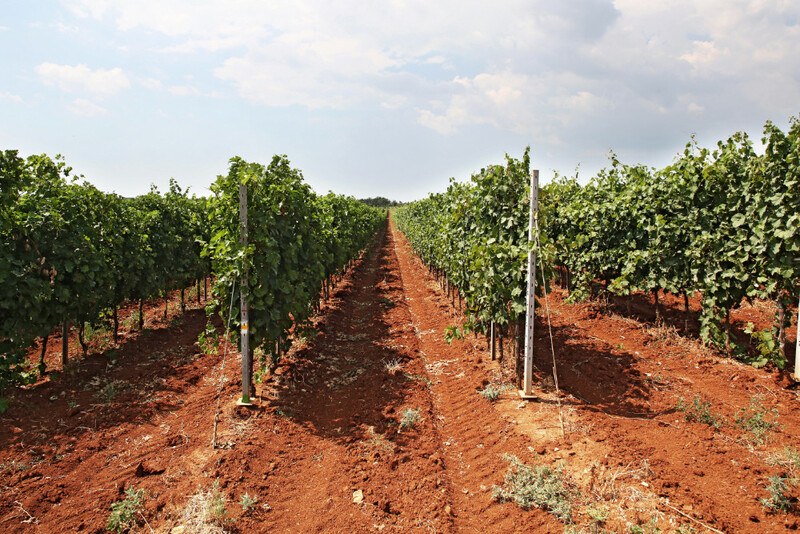 The most grown varieties are the Istrian Malvasia and Merlot, while Chardonnay, Cabernet Sauvignon and Teran are grown on smaller wine yards. Here the climate is Mediterranean, with warm and dry summers and an average of 2.400 hours of sun a year. The winters are mild and pleasant and snow is rare. Such conditions are a privilege put in our hands by nature. We treat them with respect, humbly, by a sustainable use of this richness. 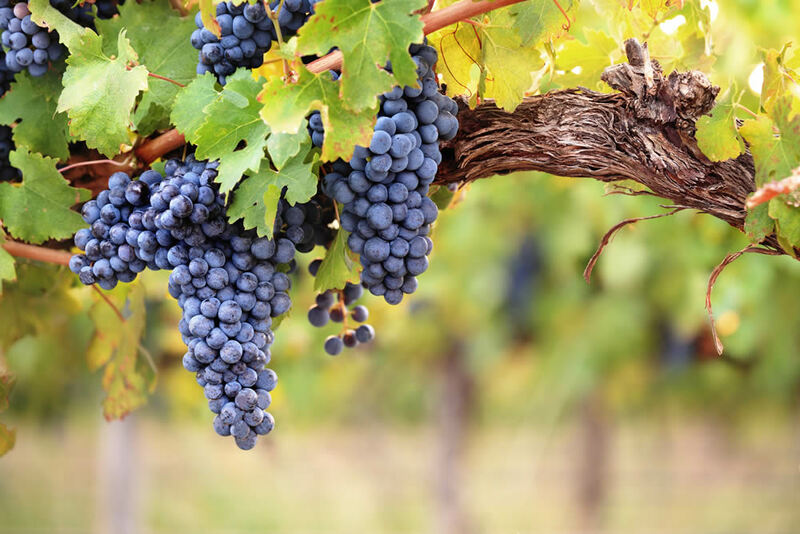 The cellar is a place where we collect field information in the form of grapes. This is best known to our young experts from the Vodnjan winery which encompasses an area of 1.000 m² and has the capacity of approximately 400 thousand litres; it is equipped with top technologies which enable our young experts to create unique and passionate wines. Each harvest is different. 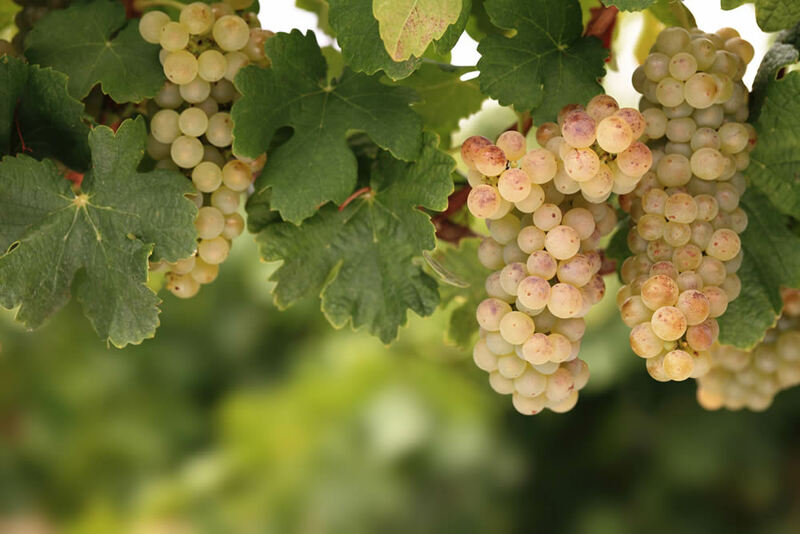 We treat each harvest individually, respecting its characteristics, qualities and weaknesses. 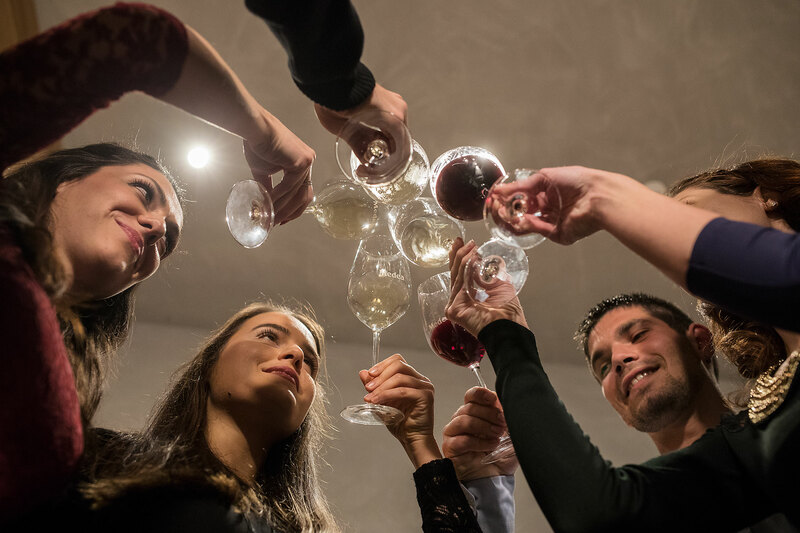 A common note to all wines, as well as to our whole business philosophy in the wine yard and cellar, is the creation of a quality product from our terroir– based on the Istrian agriculture and our cultural and historical heritage. These are modern wines based on the many century Istrian tradition for any table in this world! "When you really want something, the entire universe conspires in helping you to achieve it." Wine is what brings a touch of magic into our daily lives, makes us laugh and brings us closer together. 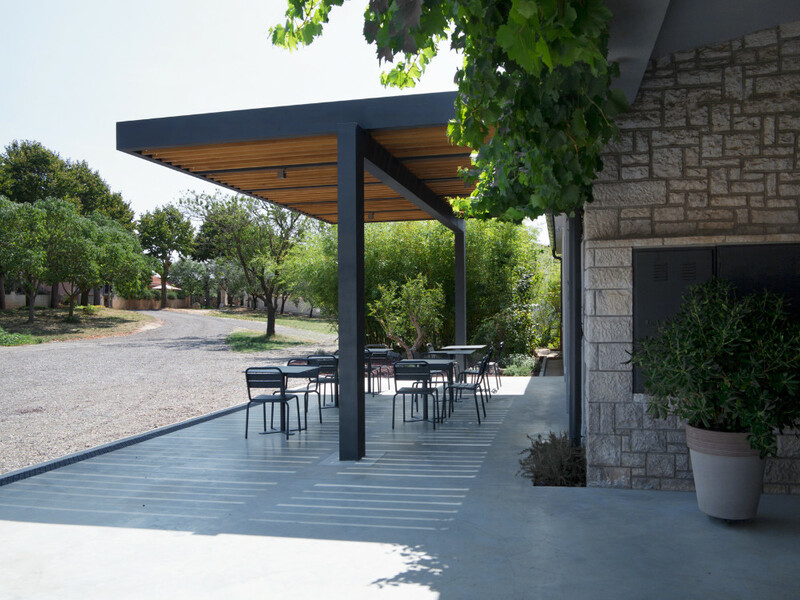 Medea wine can be purchased in the premises of our new Medea Winery tasting room in Vodnjan. 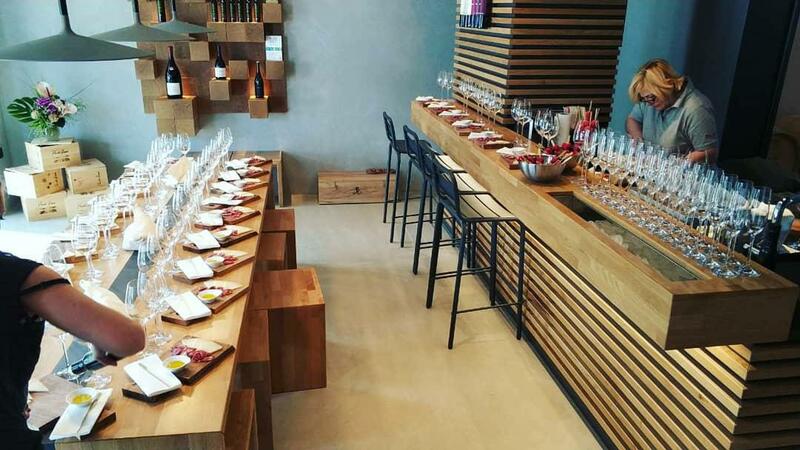 In a modernly designed tasting room, we have combined tradition with a contemporary ambience, in order to convey the passion of our products to those who want to learn more as well as to encourage them to participate in our wine story. 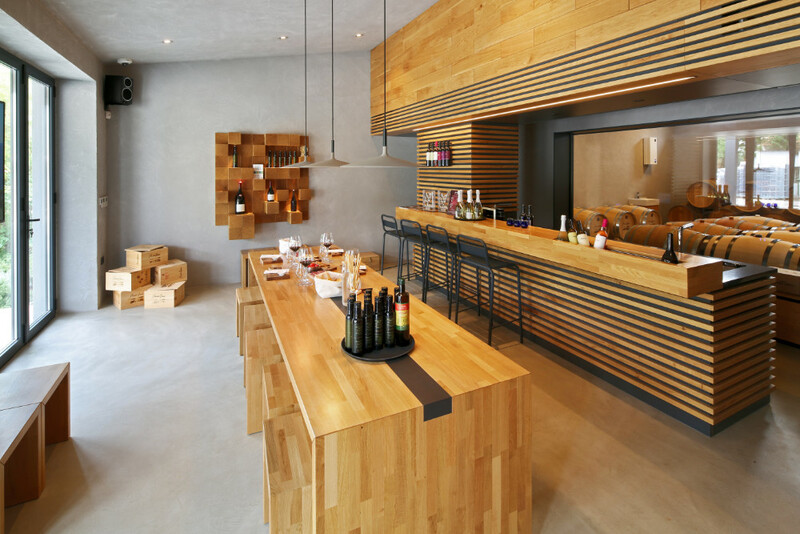 The tasting room is a place of encountering and falling in love with the finest wines and oils that live again with every new arrival, departure and return. 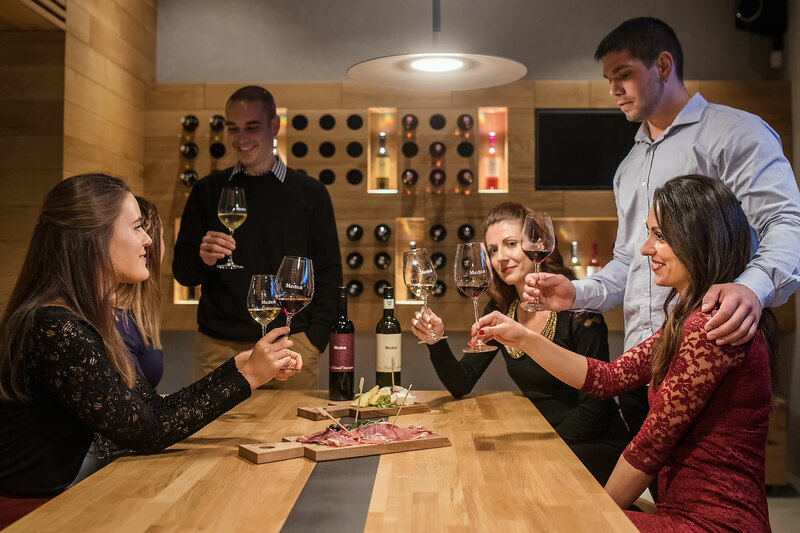 When choosing Medea wine the tasting room staff will provide you with expert recommendation and gladly let you know which wine perfectly suits you. To be in contact with you is important to us. 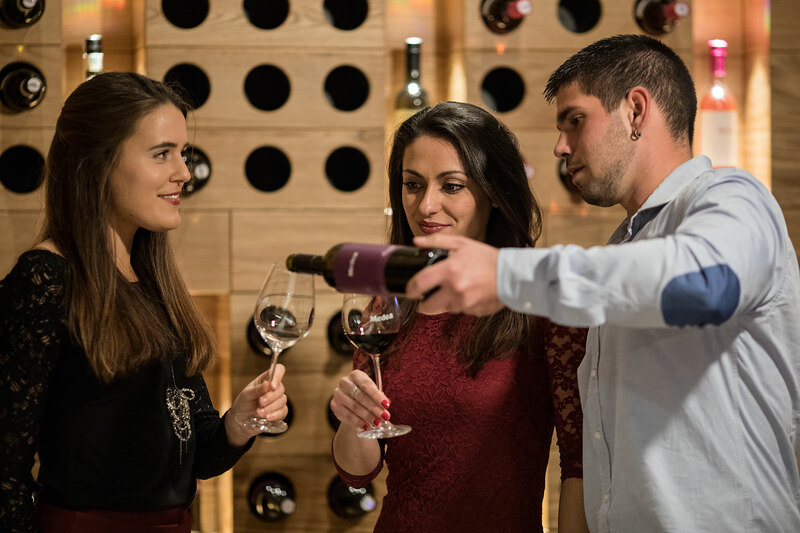 If you share with us the passion for wines of Istria, feel free to contact us.